Manchester United go into today’s game against West Ham on the back of 4 defeats in 5 games, a dreadful run by any standards. Unless there is a prompt improvement, United risk losing out on a Champions League spot for next season. However, the Reds had 5 defeats in 6 games back in 1992, under Sir Alex Ferguson. Louis van Gaal came close to equalling the poor record in 2015, but his record halted at 4 defeats in 5 games, where it currently stands for Ole Gunnar Solskjaer. The record is measured across all competitions and United have had some very challenging fixtures over the past month, it’s no wonder that they would suffer a blip at some stage. 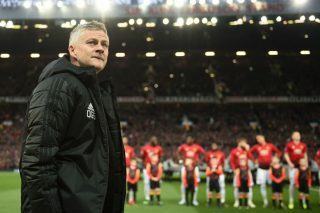 Solskjaer needs to avoid defeat against the Hammers, though it really should be a straightforward win at Old Trafford. They haven’t got the greatest record against us and go into the game on the back of a defeat. Manuel Pellegrini’s side sit eleventh in the Premier League table and have nothing to really play for between now and the end of the season. It’s the late kick-off and we’ll have plenty of coverage during and after the game.